As default, the content will be displayed to full fill the section. Step 1 – Click pencil icon to set Row Settings. Step 2 – Click Extended Options Tab on Row Settings. 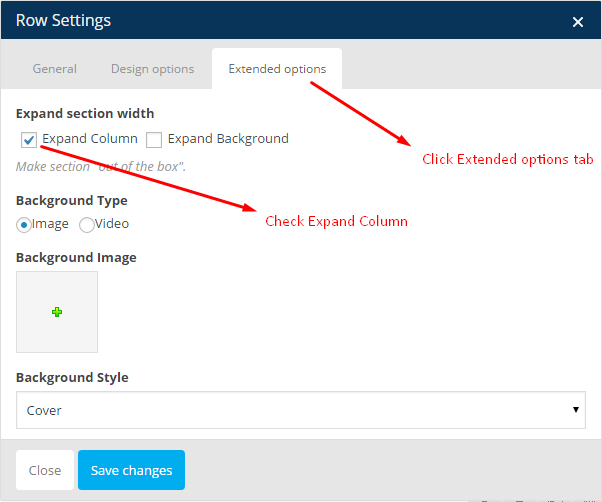 Step 3 – Check Expand Column check box, save the changes and update the page.